Salt Spring is famous as an authentic artists community...galleries in Ganges Village and also several studios around the island, open to visitors. Painters, sculptors, fabric artists...musicians...actors, dancers...writers...ceramic artisans...an eclectic and talented group of artistic expressions, all calling Salt Spring "home". The beauty of the Island, preserved by the Islands Trust (in place since 1974), also attracts hikers, walkers, cyclists, climbers, kayakers, sailors. The natural world welcomes one. Trails abound. Coves and bays invite. The air revives. There are many ways to restore the spirit, the mind, the body. Often, a sense of physical ease can lead to creative ideas. Local food, prepared by terrific chefs in the many restaurants and cafes, the allure of hiking Ruckle Park, the discovery of alternative and meditative health practices, the inspiration passed on by observation of artistic creativity...so many ways to imbibe the regenerative power of Salt Spring Island and the Southern Gulf Islands. More info? Seeking a property on this special island? The Islands Trust, in place since 1974, did control growth on all the Gulf Islands. There is always opportunity, though. Call me! Love the romantic description of Salt Spring Island. 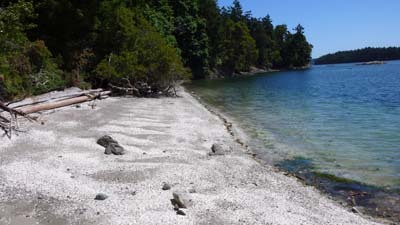 Our accupuncturist visited Salt Spring and loved it. Li, sounds wonderful, and someday hope to visit your beautiful island. Li Read - Everytime I read one of your posts, I say to myself, one of these days, I'd like to visit and see this beautiful island.